Event engagement platform designed to drive revenue. Run the best field marketing events. Improve marketing and sales alignment. Measure event performance. Make every event a strategic business driver. Need to set up your event registration? Want to make it easy to send event invitations? We’ve got you covered. Integrated with Salesforce, simple to customize and collect important data. Give everyone in your sales and marketing org access to real-time registration data anywhere with the Attend app. Check-in guests on every device, set up kiosk mode to make it self-service, and sync with wireless printers to produce professional name badges on-demand. Can't remember which rep is working with a particular attendee? Or whether the attendee is a customer? Access real-time data on every guest. Access relevant information from Salesforce that will keep your sales and executive team on top of their game at the event. Tired of having little to no insight into the effectives of your events? Give your sales team the ability to take notes on their conversations and create Salesforce tasks within the Attend app. Leverage our robust Salesforce integration and analytics to measure the performance of your events and support your company’s revenue goals. marketing and sales effectiveness at events. 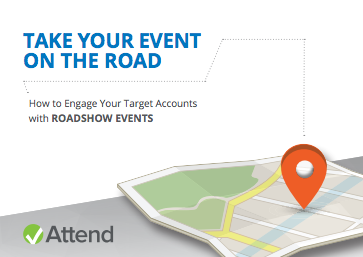 Roadshow events are a great way to scale your field marketing strategy to engage your prospects in-person. 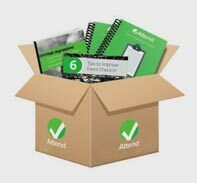 "Event In A Box" is a compilation of resources to simplify the entire event planning process. 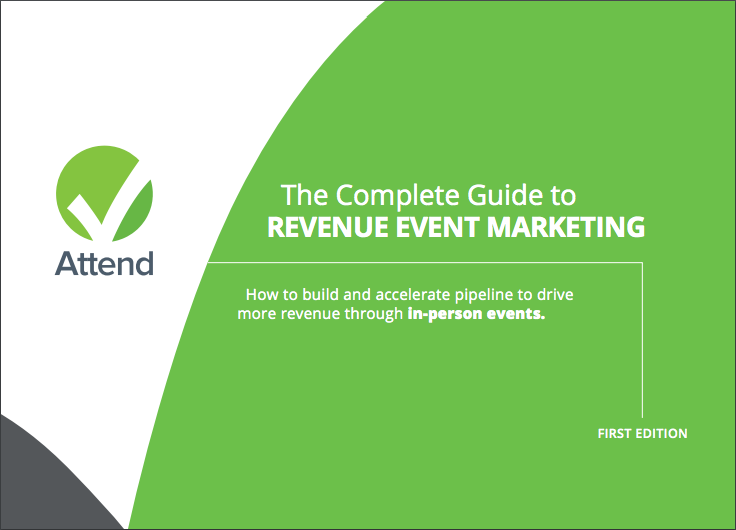 Learn how to accelerate pipleine and drive revenue with your events. in the business. Check out our new series! All in one event platform designed to help you create more revenue.